Roberto Cavagnoli emerged as an outstanding Cremonese luthier. Below is a photo pf Roberto Cavagnoli with Dietrich Lasa. 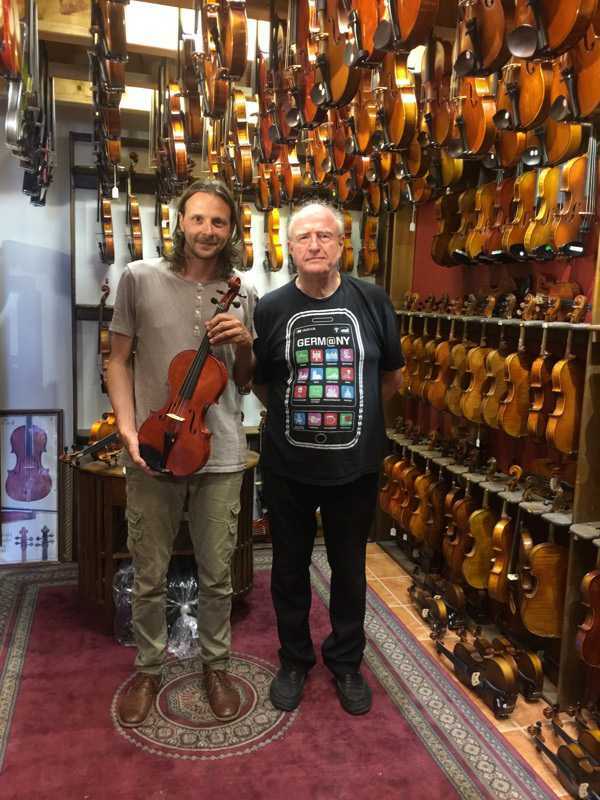 Roberto is holdiong his violin, made in 2017, that is for sale at Animato Strings. Click the button below to add the Roberto Cavagnoli Violin to your wish list.